Fan exclusive for Quick Chek fans on Facebook. Like their page to gain access to the fan coupons. 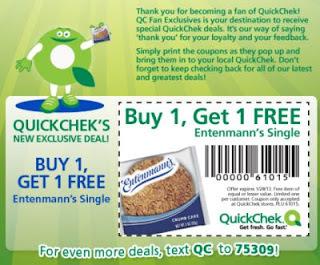 Buy 1 Get 1 Free Entenmann's Single. Just print the coupon and take to to your nearest QuickChek.